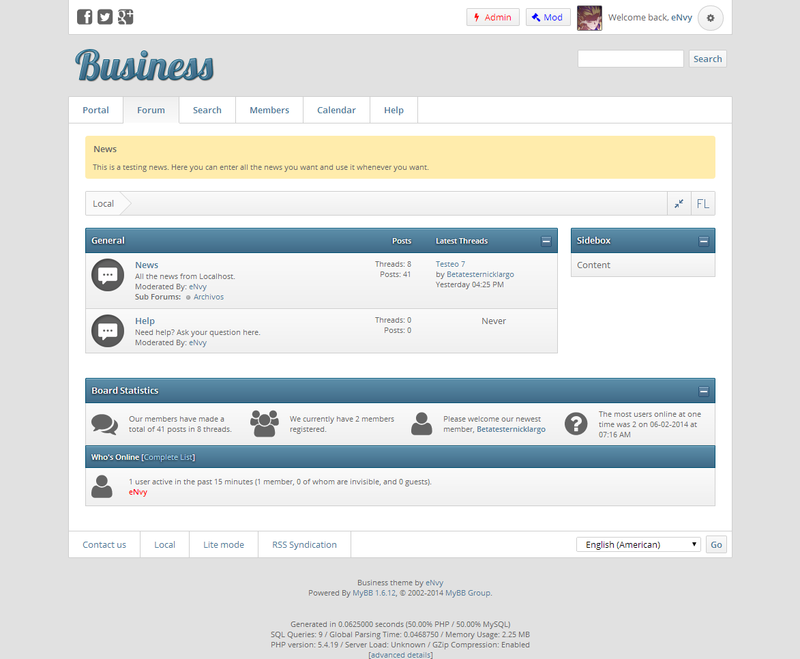 Business theme is a set in those platforms looking for a clean design, without the need for outstanding colors much less extravagant design details. 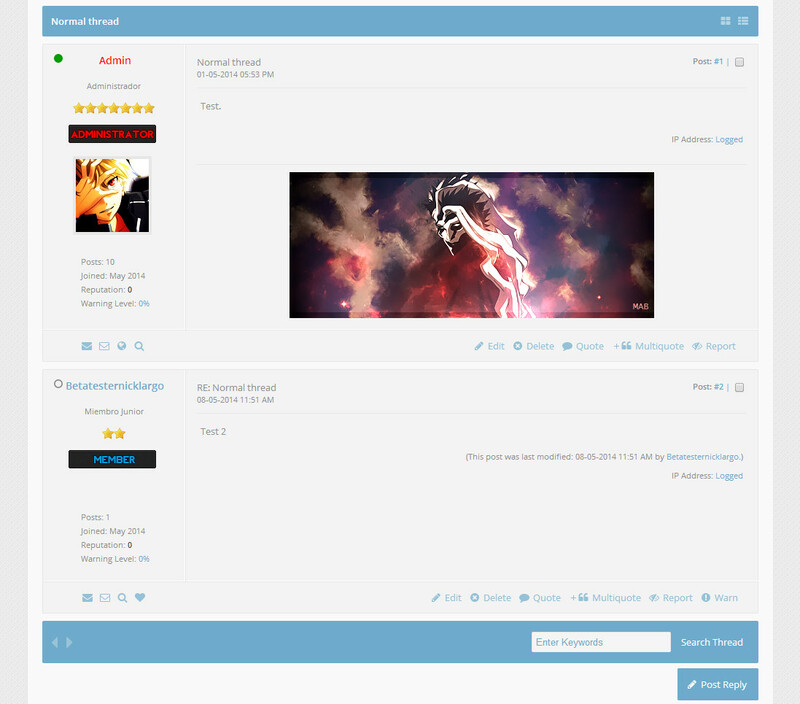 Clouds Theme is a minimalistic theme based on the color of the clouds. 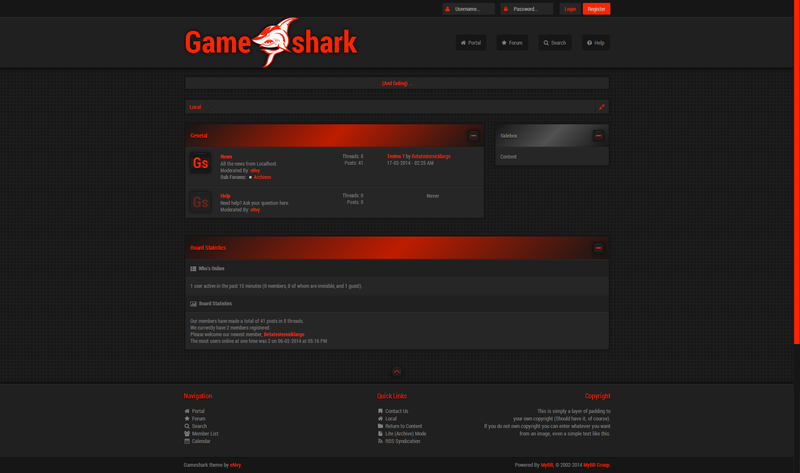 Gameshark is a theme designed for those gamers communities. 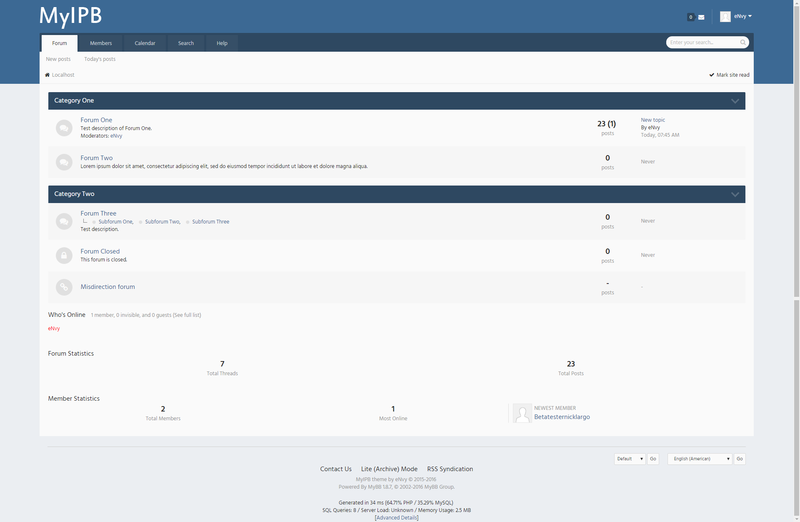 The same is set to a dark theme, and has outstanding details in reddish orange. 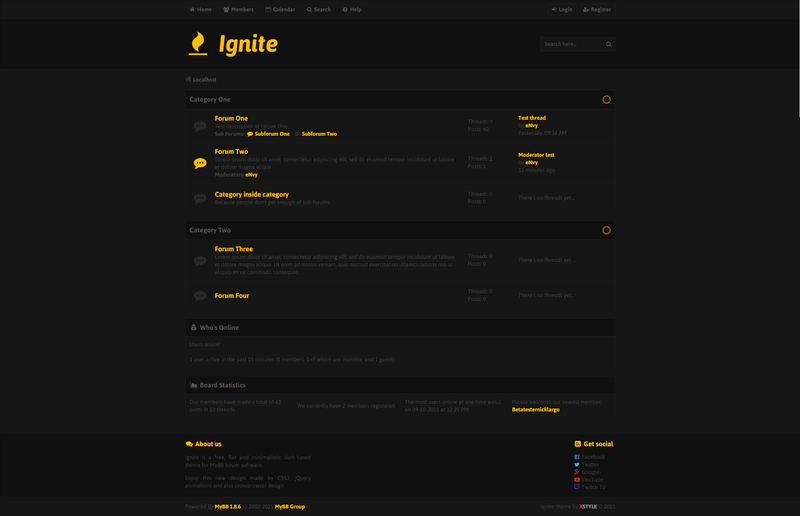 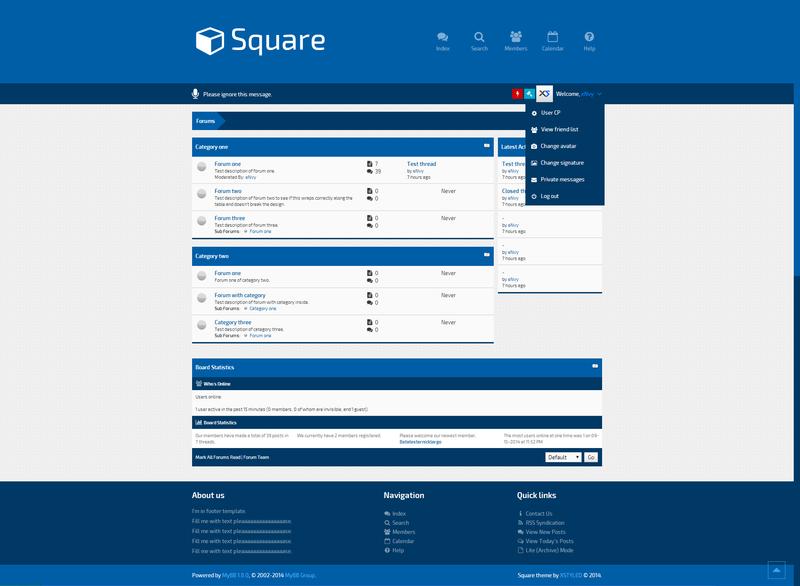 Ignite is a free, flat and minimalistic dark-based theme for MyBB forum software. 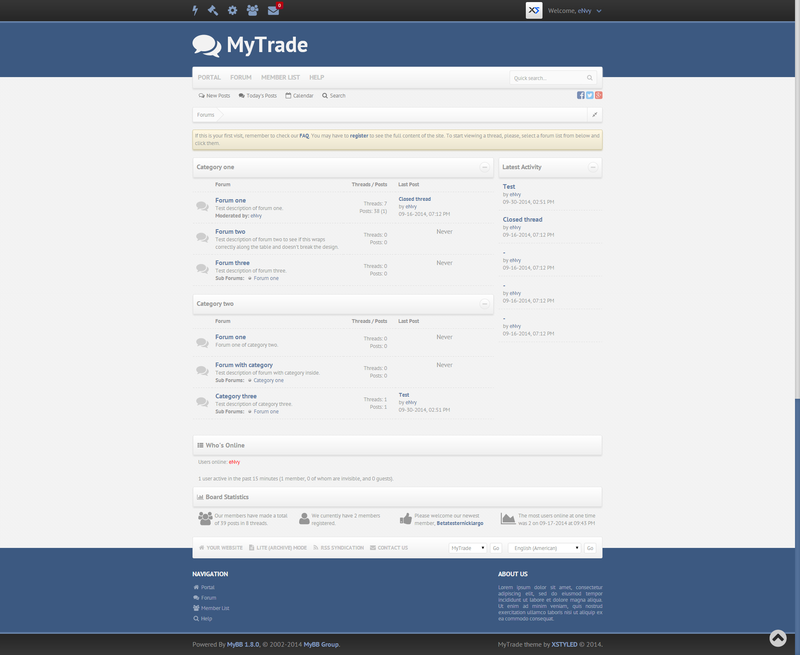 MyTrade it&apos;s a business related template, created for the people who needs a clean, simple, and easy design. 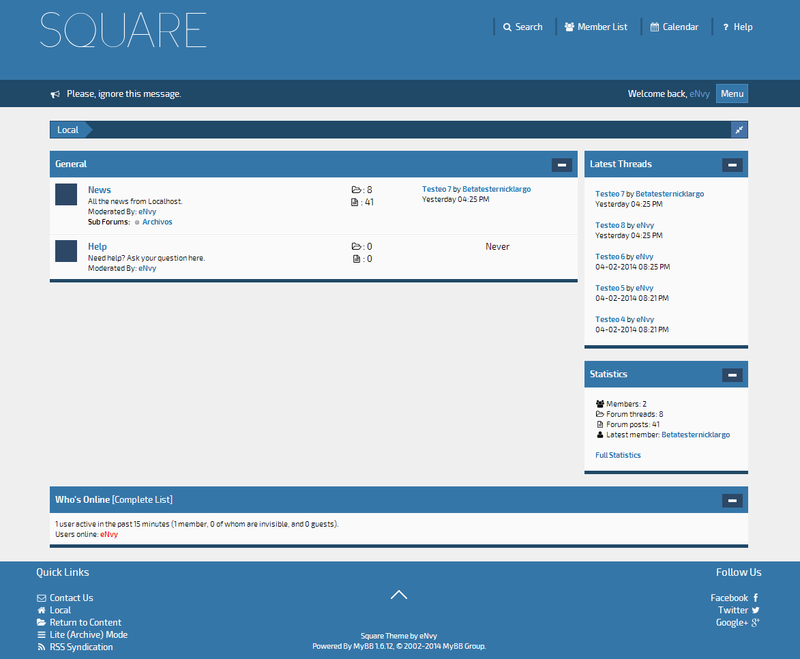 Square is basically a minimalist theme, simple and convenient for easy use. 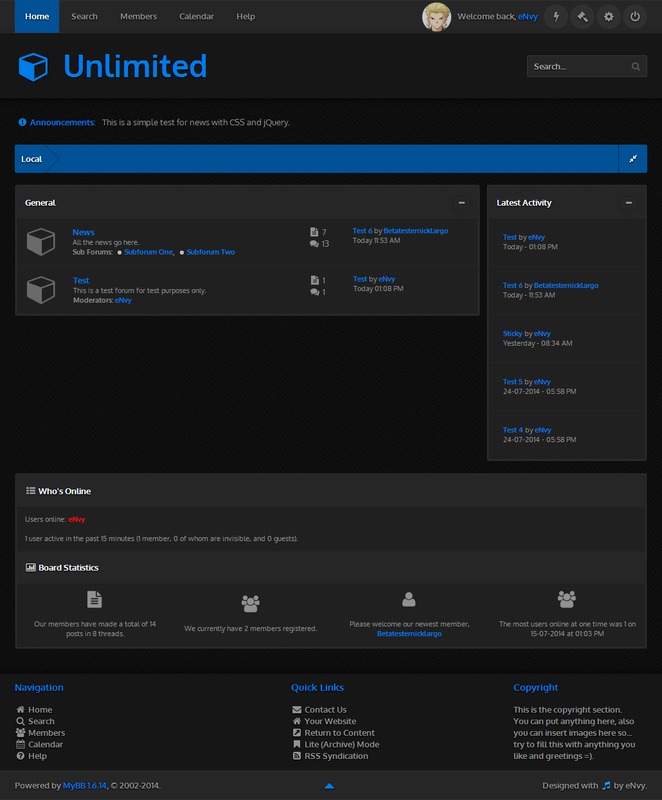 Unlimited theme is a dark-based theme with minimalistic details, css3 effects, font awesome icons and a lot more.